Happy New Year! 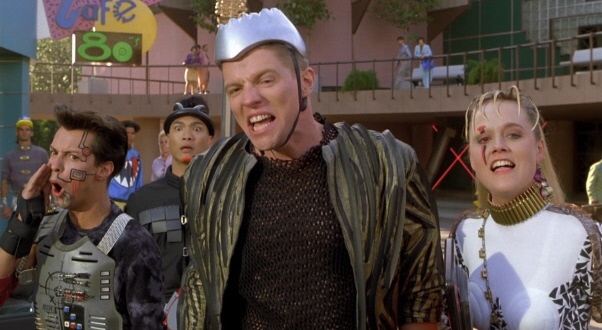 Welcome to 2015, the year that we are all supposed to be dressing a little something like this according to Back to the Future II.. I don’t think I’ll be dressing like that any time soon! 2015 is going to be a great year, I hope you have all set resolutions that are SMART (Specific, Measurable, Achievable, Relevant and Time-Oriented). I will delve a little bit more into my resolutions in my next post. As for today I will be discussing what the end of 2014 looked like for me and I want to be completely honest with the situation between my ex-partner and I. Appearances aren’t always as they seem and I think that I need to write about this because lots of girls find themselves settling for boyfriend/girlfriends out of convenience instead of love. I was in a relationship with *Richard (real name not used) for the last year and a half. We met at the gym where he was my personal trainer and soon after we began dating (3 months) we moved in together – that is where issue number one arose. Never move too fast in a relationship, make time to fully get to know a person before committing so seriously. Richard began putting his work and sports above our relationship and soon had no time left to dedicate to communicating effectively-he would come home from work, have dinner and go to bed. I tried to gain this foundational part of the relationship back by suggesting we go on dates and set aside time to have fun but he soon decided that he was falling out of love with me and he moved out of our flatting situation. And this is only the beginning of our relationship. After he moved out, Richard still kept in regular contact and some would have even said that we were dating but without the committiment. A month passed and we were practically seeing each other as we had prior to him moving out, together as a couple again but not living together. I am a stickler for the belief that if you work hard at something then it should all pay off in the end, probably not a great belief to have in this situation however. While we were living together Richard had been texting one girl in particular quite often and I happened to discuss this with a mutual friend who informed me that Richard and *Penelope had gone home together after a night out… The night after we broke up and he moved out. Richard had slept with her and a month after when we were back together, had still failed to tell me this. I loved Richard and so I tried to forgive him (as my previous post states, forgive easily and do not hold grudges) and move past this to keep working on the relationship. Things afterwards weren’t bad, we definitely had our ups and downs and Richard did love me, but the foundations were still lacking and I kept discovering moments where he had not been honest with me and had been seeing girls without discussing it with me prior (when there is little to no trust remaining in the relationship, this just tears it apart more). He didn’t appear to be proud of me or our relationship and it became difficult to believe him. When I came to Australia I had every intention of staying in the relationship and being loyal to Richard… But the fact that I couldn’t trust him deep down was the last straw to break the camels back. I don’t hold a grudge any longer for what happened, but it still does hurt occasionally knowing we both poured so much of ourselves into the relationship for it to not work out as planned. To me, honesty is the biggest must-have in a relationship. As well as open communication and the willingness to be vulnerable. I tried so hard to convince myself that if I was open and honest and loyal, that I could make the relationship work… But unfortunately relationships are not a one-way street. I wasn’t being honest with myself and Richard wasn’t being honest with me. And make sure you get to know the person before rushing into anything. I would have saved myself a world of pain if I had of truly got to know Richard prior to committing my entire self to him. Just a bit of an honest post to share with you all.